My six favorite cookbooks are a mix of old and new, sweet and savory. 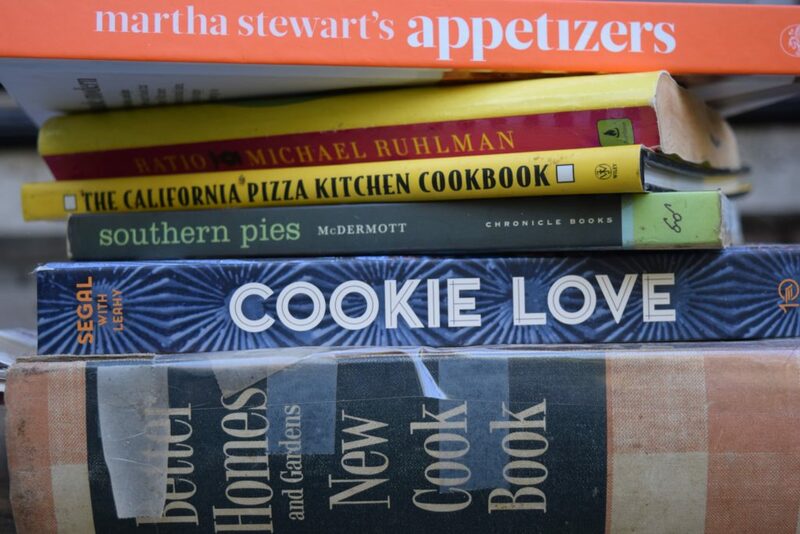 Recipes for crisp fruit pies, cookies that involve multiple steps over several days, fresh appetizers and soul-satisfying pasta and pizza can be found in the dog-eared pages of my six favorite cookbooks. Before you google your next potential dinner recipe, grab a cookbook from your shelf. Let serendipity guide your next meal. I’ve always loved to read, especially non-fiction, even as a kid. I love to know how things work. So that’s why I have a fondness for cookbooks. I find out by reading them, how a recipe works ingredient by ingredient, step by step. Confession time: I could live on nothing but appetizers, cocktails and desserts. I like to make an appetizer to start a weekend meal. I don’t always have time but when I do, I reach for Martha’s book. 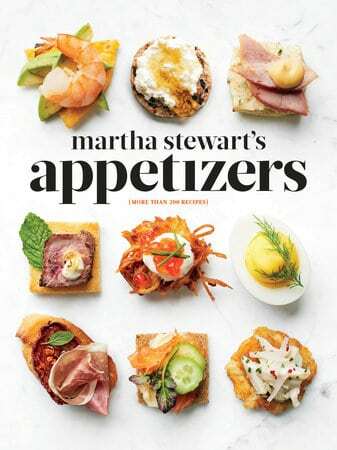 “Appetizers” has lots of photos to tease the palate and more than 200 recipes. I can always find something to make, whether simple spiced nuts or more substantial sliders and mini chicken flautas. There are also cocktail recipes. Sour cherry mojito anyone? Oh Michael Ruhlman, you are the food writer I aspire to be. Ruhlman has written dozens of books but Ratio is one of my favorites because again, I like to know the formula behind things, including recipes. Ruhlman provides the formulas for all kinds of recipes, including bread dough, cookie dough, pie dough, crepe, vinaigrette, stock and more in Ratio. CPK is one of my favorite chain restaurants and their recipes, while ingredient heavy, result in really delicious meals that taste like they were made in the restaurant instead of your kitchen. Chicken Tequila Fettucini is my hands down favorite. Next to a good pie, I love nothing more than a good cookie. 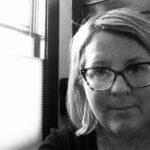 Mindy Segal owns Hot Chocolate Restaurant and Dessert Bar in Chicago and loves cookies so much she has sworn to always have a cookie on her dessert menu. I love Cookie Love because it has recipes I’ve never seen anywhere else, like peanut butter peanut brittle cookies or Black Sabbath—that’s a chocolate sandwich cookie stuffed with peppermint frosting and dipped into chocolate. 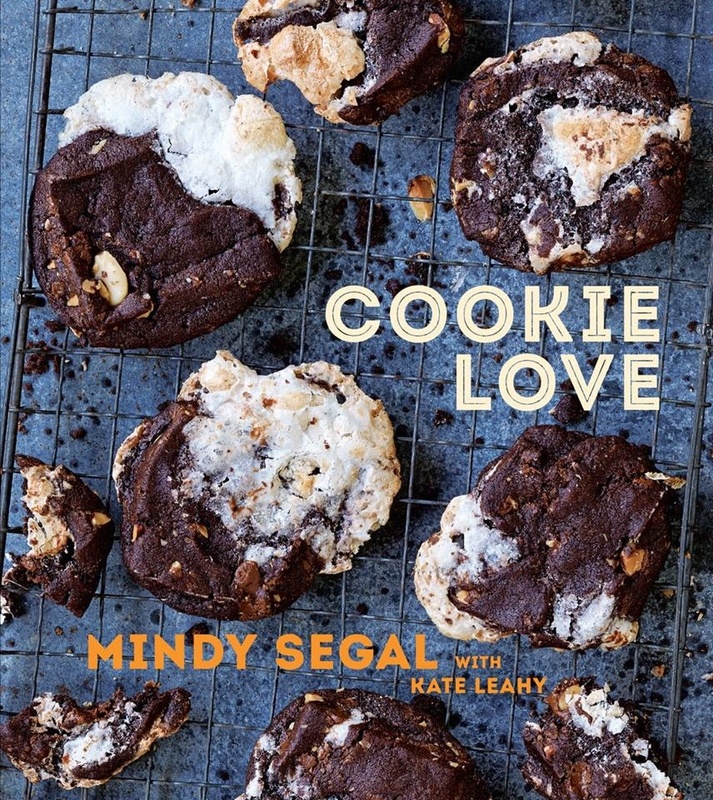 Segal’s passion for cookies and baking seems to seep from the pages. So, I don’t cook very often from this one, but it does contain my favorite gingersnap recipe. This book had belonged to my father’s mother who died when I was a young girl. It’s special to me just because it was hers. I don’t have many things of hers other than a photo and her faculty for language. I would love to hear what your favorite cookbook is and why. Leave a note in the comments section. I’m from Australia and all of these are new to me, so thanks for sharing. My favourite cookbook is called The Cook’s Companion by Stephanie Alexander. Good luck with the 7 day challenge. 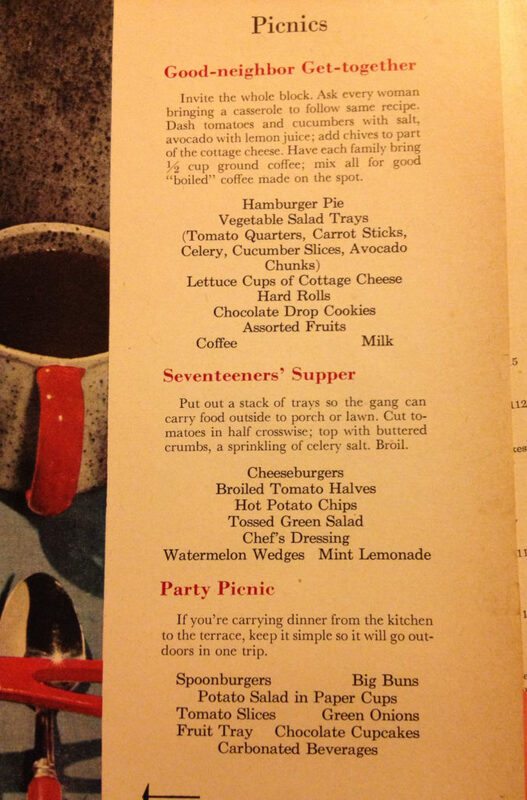 I know that old BH&G cookbook. You’re right, they are fascinating to read! I love the old-fashioned-ness (is that a word?) of the BH&G cookbook. I’ve never heard of The Cook’s Companion before. I just googled it and it looks amazing! I’m wondering if I can find a copy here in the states. Do you have an absolutely favorite recipe from that one? Good luck with the challenge. Thanks for visiting. Jamie is wonderful–and not bad to look at either! Ratio is a favourite here too. Also, Jerusalem by Ottolenghi gets a lot of use here, as does his book Plenty. And I love Jamie. I’m not terribly familiar with Ottolenghi’s recipes. I am looking for a good knish recipe. Does he have any? I agree with you about Jamie, he is wonderful. Do you ever see his show? I have a BH&G cookbook too. Mine is from 1969 so a bit more modern than your version. It’s a go to favorite for pies. If you like Michael Ruhlman, read his Cook’s Manifesto. It a wonderful book on how to cook with specific ingredients and methods. I read his other book, I think it’s called The Reach of a Chef? Michael Ruhlman has written a number of books, the Soul of Chef, The Making of a Chef and a book on wooden boat builders on Martha’s Vineyard, Gannon & Benjamin and the building of the yacht “Rebecca”. It’s not a cookbook but he’s such a good writer, that he makes anything interesting. I didn’t realized he’d written about boat building. Oh, I have sooooo many cookbooks. Believe it or not… I buy them mostly for the photos. I love pretty food styling inspiration. I love all of Donna Hay’s cookbooks and her magazine too. Some of the prettiest food ever. I totally believe that, your website is just gorgeous.